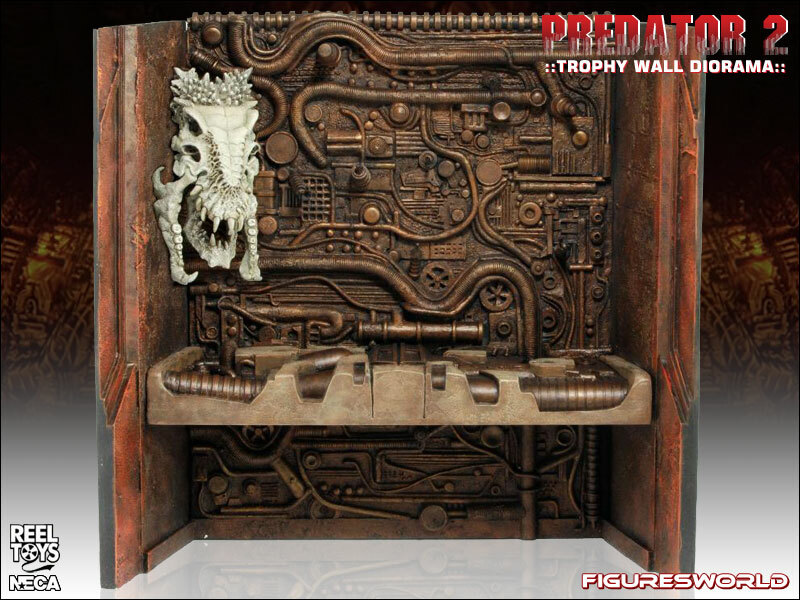 This special edition diorama measures over 11 inches tall and nearly 12 inches across and is a faithful replica to the Trophy Wall seen within the Predator spaceship at the end of Predator 2. 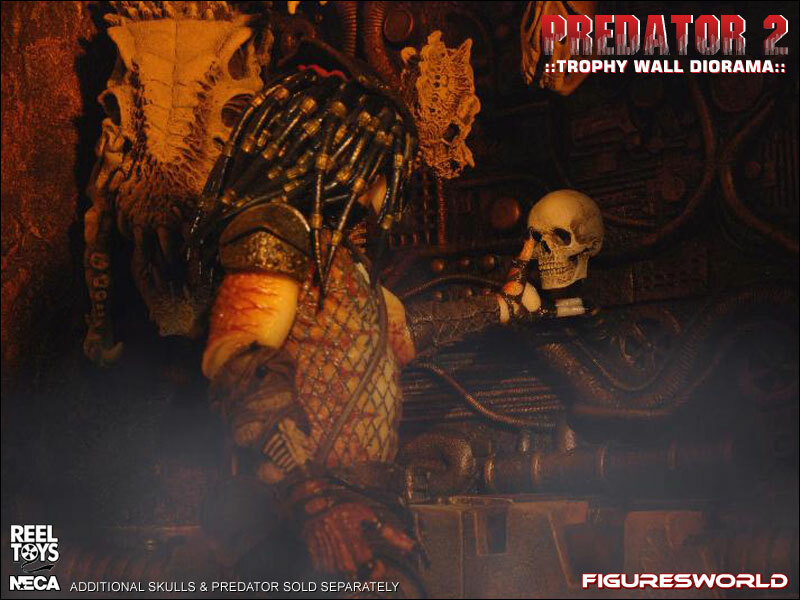 This incredibly detailed diorama is a reward to the fans who have faithfully collected all the various Predators figures and Exclusives, they now have a place to display the various “trophy skulls” accumulated over the past 3 years. The diorama includes a series of plugs and attachments that will hold 8 different skulls. 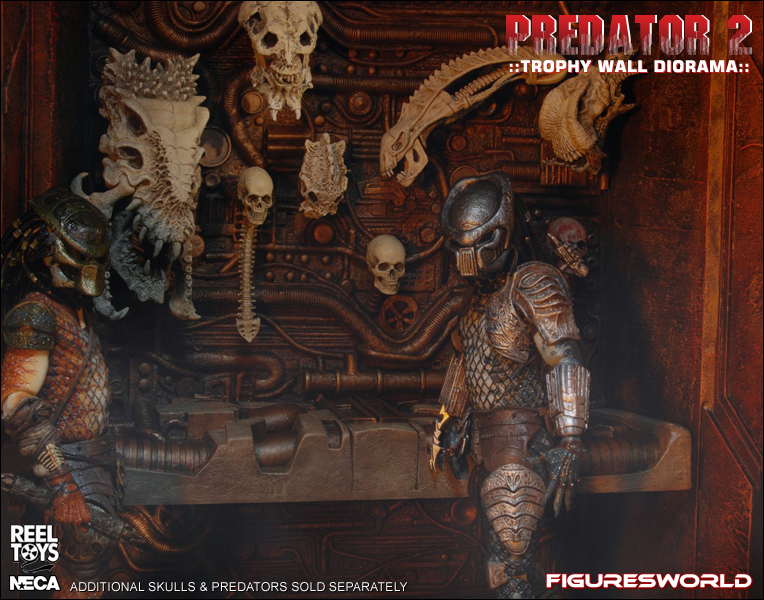 One large dinosaur-like skull is available exclusively with the Trophy Wall Diorama. Other skulls and Predator figures sold separately. 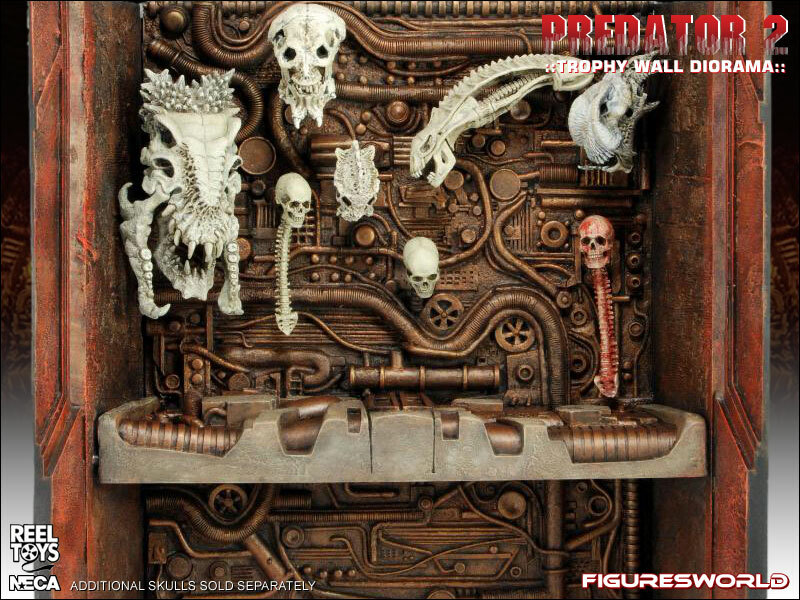 A must have centerpiece for your Predator collection and a perfect place to display all of the Lost Tribe Predators. Limited to ONE production run, this product will not be restocked once sold out.